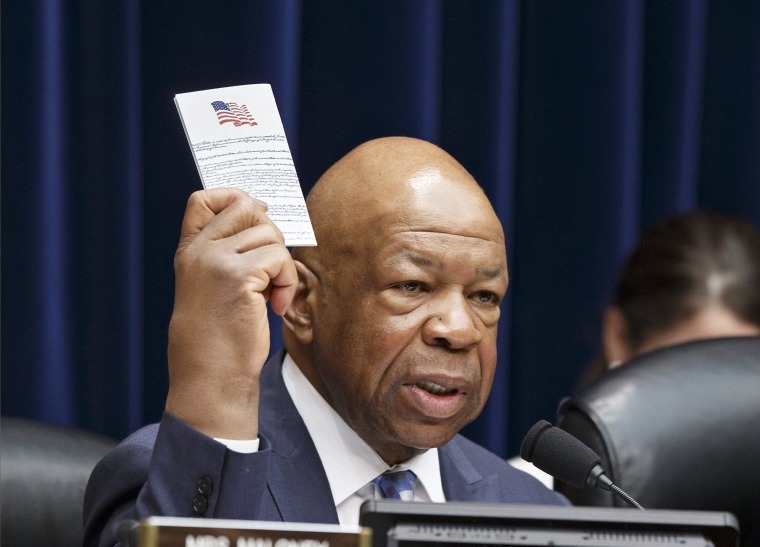 After weeks of internal debate, House Democrats announced Wednesday that they will participate in a Republican-led select committee to investigate the 2012 Benghazi attacks. "I could have argued this either way - why give any validity to this effort? - but I do think it is important for the American people to have a pursuit of these questions done in as fair and open and balanced a way as possible," House Minority Leader Nancy Pelosi said, contending that the panel is "not necessary" and lacks balance. "That simply would not be possible [if] leaving it to the Republicans." Pelosi said flatly on Wednesday that she and House Speaker John Boehner were unable to reach an agreement about the makeup and processes of the probe but added that the lack of balance is "all the more reason" for Democrats to participate in order to fight for transparency. "I believe we need someone in that room to simply defend the truth," Cummings told reporters. The other Democratic members selected are Reps. Adam Smith of Washington, Adam Schiff and Linda Sanchez of California, and Tammy Duckworth of Illinois. Many Democrats had objected to the conditions of the probe put forward by House Speaker John Boehner and argued that the select committee was politically motivated. "I would be dead-set against it," top Rep. Jim Clyburn of South Carolina said earlier this month of a committee that didn't have equal representation of Republicans and Democrats. "I'm not bringing a noose to my hanging." But other leaders had expressed concern that failing to participate would allow Republican charges to go unanswered. The panel will be chaired by Republican Rep. Trey Gowdy of South Carolina. In a statement, Gowdy welcomed the Democratic members. "I respect Mr. Cummings and his work in Congress," he said. "I look forward to working with him and the members of the committee toward an investigation and a process worthy of the American people and the four brave Americans who lost their lives in service to our country."